What Should I Do Afer My Atlanta DUI Arrest? A drunk driving arrest can be a nightmare. Most Georgia DUI cases occur within a 25-mile radius of Atlanta, GA. Much of this article deals with DUI Atlanta and DUI attorneys. Your plastic Georgia driver’s license is sent by the arresting officer to Georgia Driver Services (GA Department of Driver Services), and the DUI officer issues you an interim driver’s license on a piece of paper that is only good for 30 days. 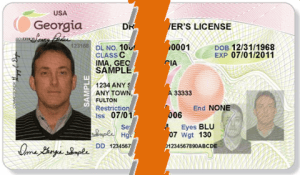 Then you read online that this interim driver’s license is misleading, and that (under Georgia implied consent law) you must appeal your DDGA license suspension within “30 days” after your DUI arrest, or suffer a one-year Georgia Driver’s License suspension. 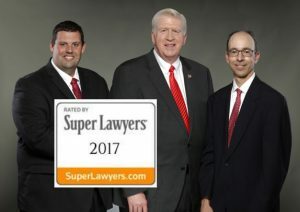 That is when you search for Georgia DUI lawyers or DUI attorneys of Atlanta who are experts in criminal defense law relating to driving while intoxicated cases. Do not miss the 30-day DDS appeal deadline for the Georgia implied consent law administrative license suspension. If you have retained legal counsel, let your DUI attorney in Atlanta assist you with your Georgia Department of Driver Services appeal. After July 1, 2017 you the option of installing an ignition interlock device (IID) on your vehicle. Doing so will waive your right to file an administrative license suspension appeal letter with the GA DDS. You must apply for an interlock within 30 days of your arrest, and once approved, you have only 10 days to get the device installed. Not everyone can take advantage of this new option. 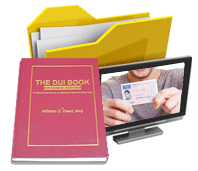 The IID option is NOT available to drivers under 21 years of age, CDL license holders, anyone with at least one DUI conviction in the past 5 years from ANY state, and any out-of-state license holders. Hire a Georgia DUI lawyer. Should that be an DUI lawyer in Atlanta or a local GA DUI attorney? 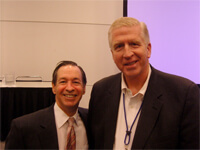 Or, hire both – a local lawyer familiar with your DUI court, and a DUI lawyer who is a known DUI lawyer? 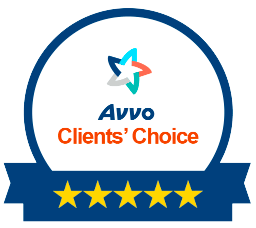 If a commercial bonding company posted your DUI bail, stay in touch with them, or have your DUI attorney communicate with them that your DUI case is under control. If your DUI bail was posted by a friend or family member, ask your DUI attorney to prepare an “assignment of bond” form for the DUI bail bond person to sign, so that you can use that money once your DUI case is resolved in Atlanta Municipal Court or other Georgia DUI court. Obtaining medical records of any prior orthopedic injury, surgery or disability, or similar records for other pre-existing medical conditions, that your DUI attorney may need for court. Gathering names and contact information for fact witnesses about the hours prior to your DUI arrest. These can be friends, your spouse or significant other, or a bartender or server. Your drunk driving lawyer also may ask you to go back to the restaurant or bar to get a printed copy of the total bill that most food and beverage establishments retain on their computerized transaction software. Gathering any photos of you (bruises, Taser marks, injuries from a car accident) or photos of the roadway conditions (i.e., construction repaving, lack of white lines) made by a family member or friend who is not going to be a possible prosecution witness against you. You likely will not testify, so ANOTHER person should take photos or short videos of relevant roadway information, in case authentication of time and place are later needed. Locating prior DUI records from your former DUI lawyer, or the previous clerk of court of your previous DUI case or cases, in any state. The prosecutor can access national drunk driving records, so your DUI attorney needs to know the exact disposition of a DUI first defense, 2nd DUI, etc. 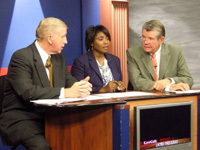 Following your Georgia DUI lawyer’s advice on getting an “assessment” of possible alcohol or drug addiction from an approved Georgia alcohol and drug addiction professional, Also, sign up for and attend DUI classes now, to help with possible sentence mitigation in your DUI court, or to assist in getting your DUI reduced to reckless driving or other favorable disposition. Take steps to protect your Georgia driver’s license or your driver’s license issued by another state. CAUTION: You cannot risk violating other laws (e.g. perjury) by making a false statement on a driver’s license application, such as “My driver’s license is lost,” when that is not true. Ask your Georgia DUI attorney. Stay out of ANY type of new criminal trouble. When a new DUI or other serious driving offense occurs while a previous DUI is pending, both the first criminal case and the second criminal case are affected. This blanket statement is ignored or not followed by about 10% of people with a pending drunk driving case, so be one of the smarter 90%, for your best chance at an excellent outcome. Whether your arrest was for an Atlanta DUI or for a drunk driving charge ANYWHERE IN GEORGIA, our DUI attorney specialists will go to court for you. Here are brief profiles of the Georgia DUI attorneys at our Atlanta law firm.